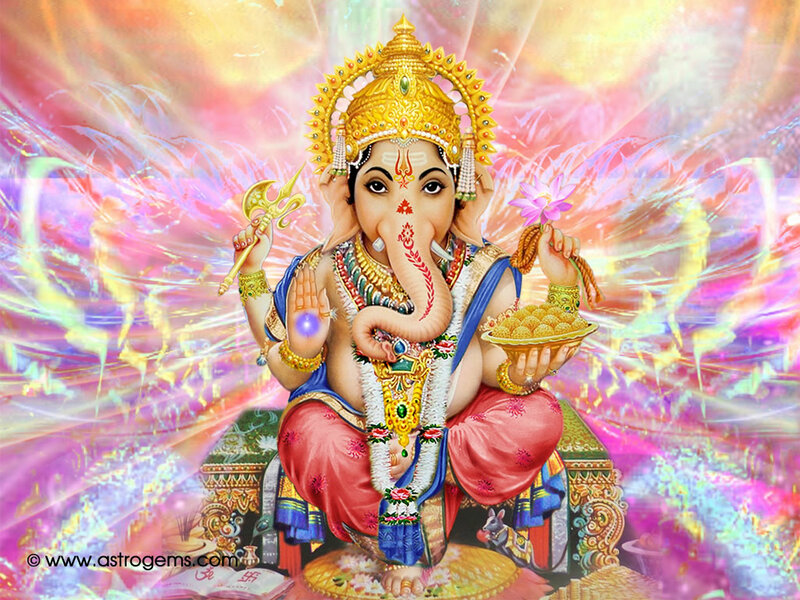 (HAIL THE NAME OF GANESHA). 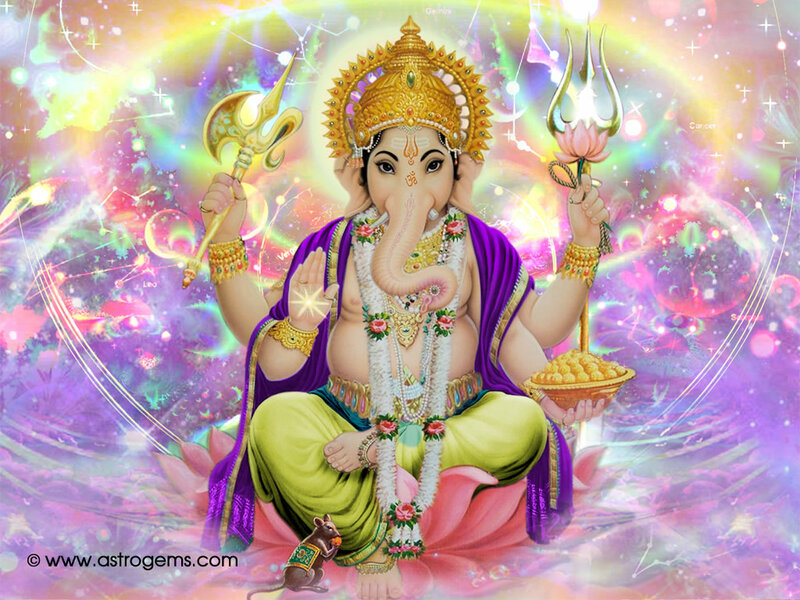 He represents the perfect equilibrium between male and female energies (Shiva and Shakti), between force and kindness and between power and beauty. 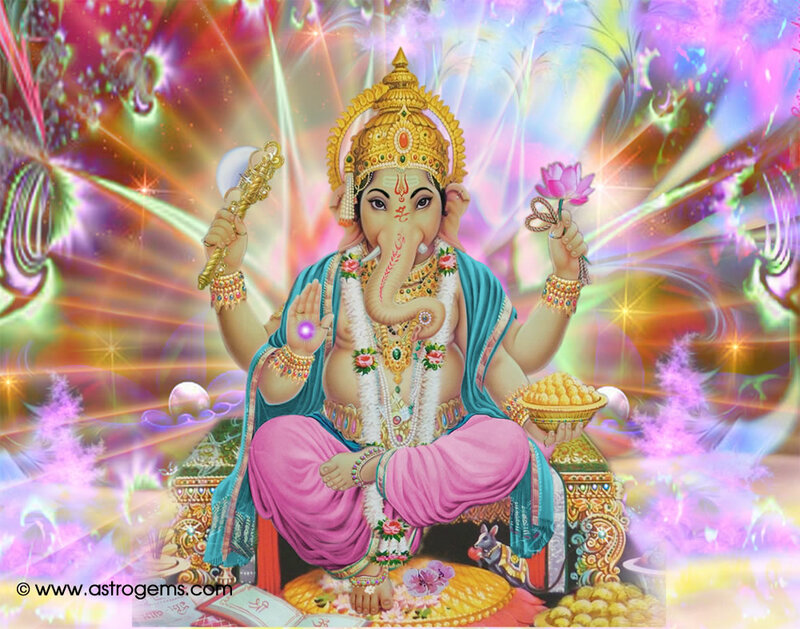 He also symbolizes the discriminative capacities which provide the ability to perceive distinctions between truth and illusion. 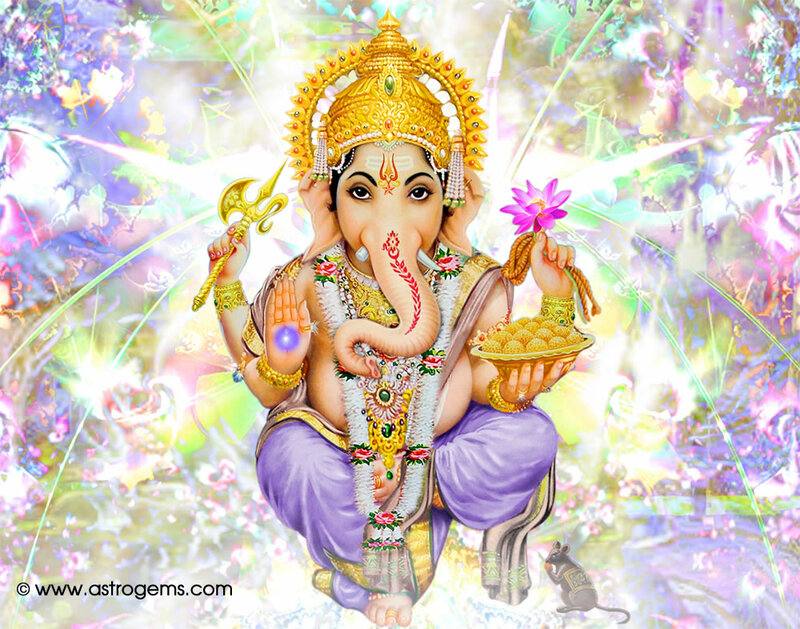 Throughout India and the Hindu culture, Shri Ganesh is also placed first into any new home or abode. 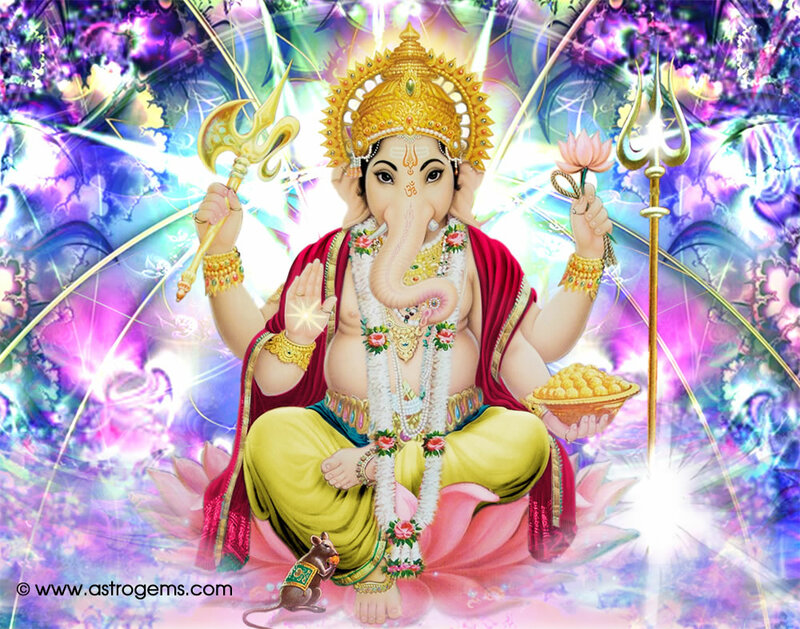 It is widely believed that "Wherever there is Ganesh, there is Success and Prosperity" and "Wherever there is Success and Prosperity there is Ganesh". 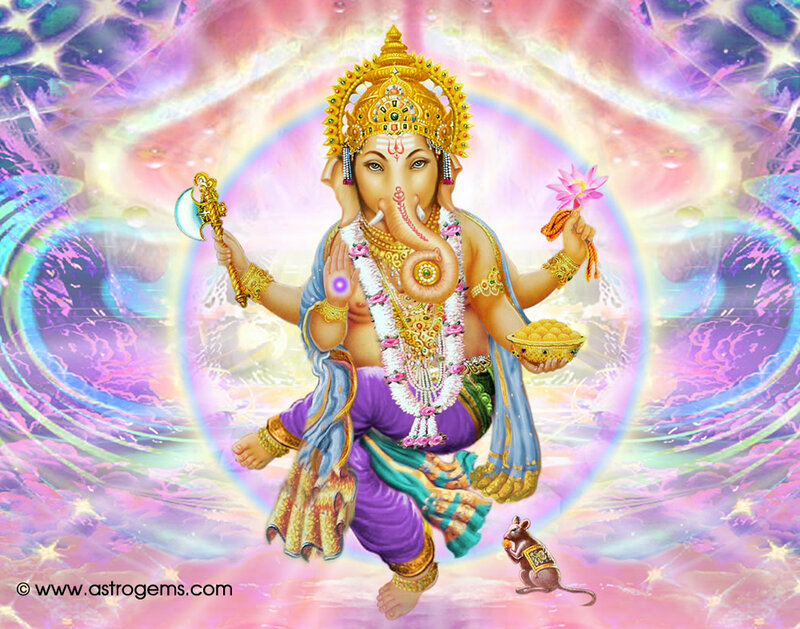 This is why Ganesh is believed to be the harbinger of good fortune, and why he is invoked first at any ritual or ceremony. 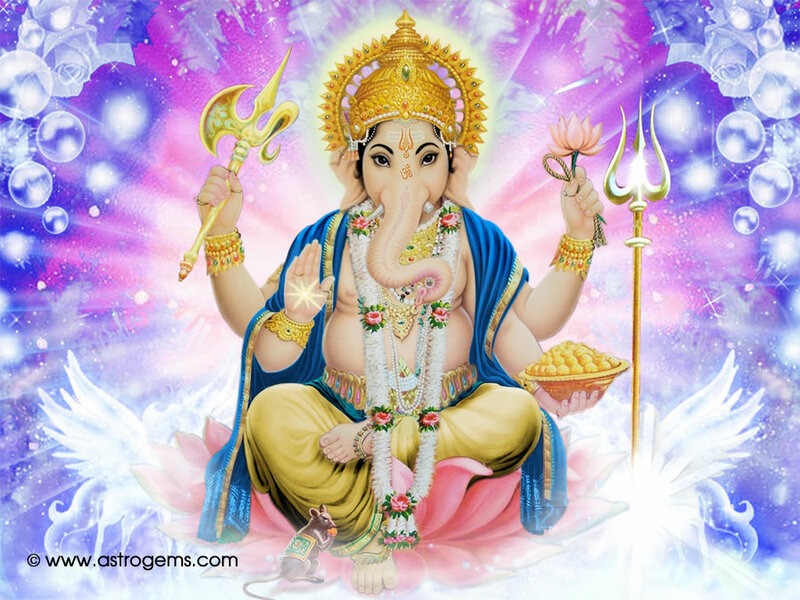 Whether it is diwali puja, a new house, a new vehicle, students praying before the exams, or people praying before job interviews, it is Ganesha they pray to, because it is believed that he will come to their aid and grant them success in their endeavor. 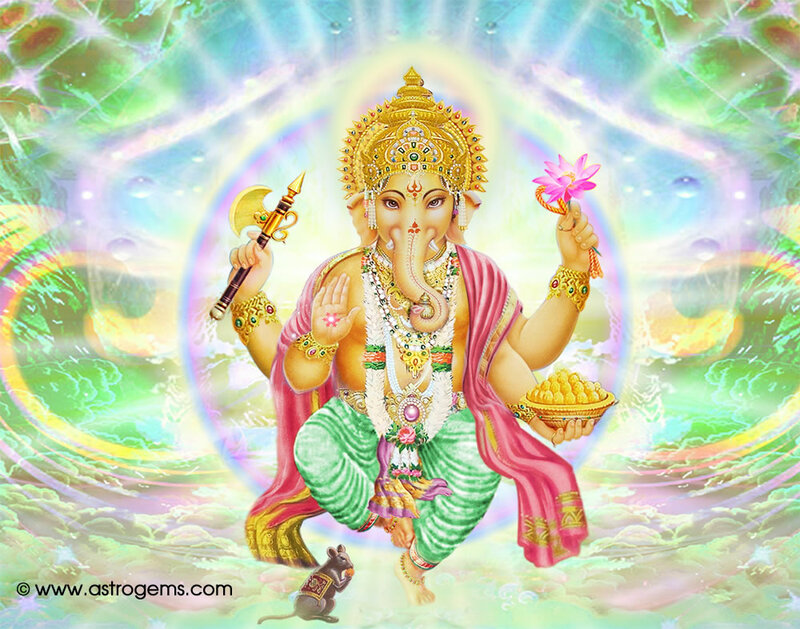 Ganesha is also known as the destroyer of vanity, egoism and pride. 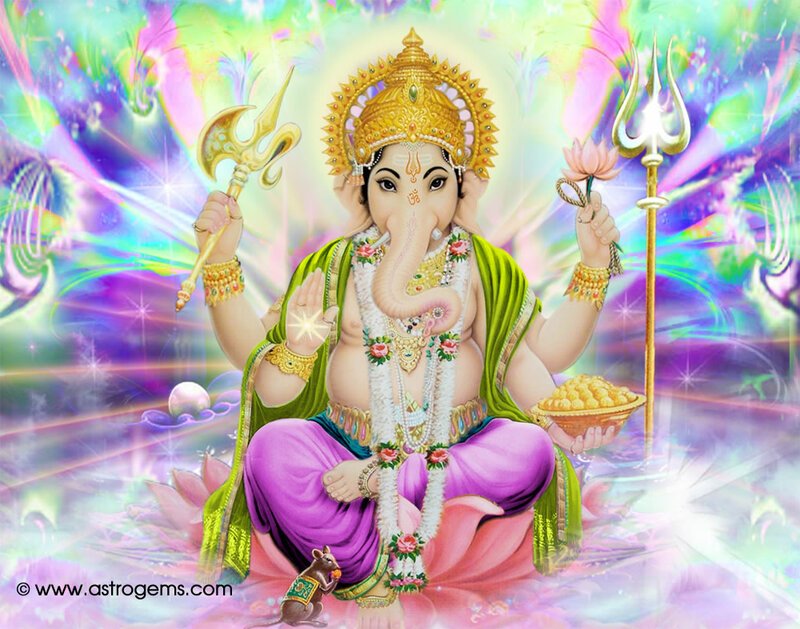 As the first born son of Shiva and Parvati. 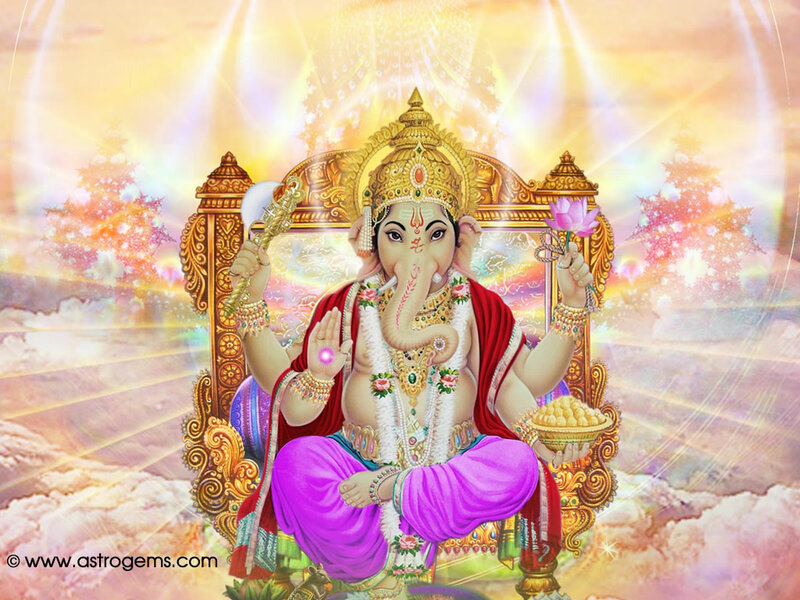 It is interesting to note how, according to tradition, Ganesha was generated by his mother Parvati without the intervention of her husband. 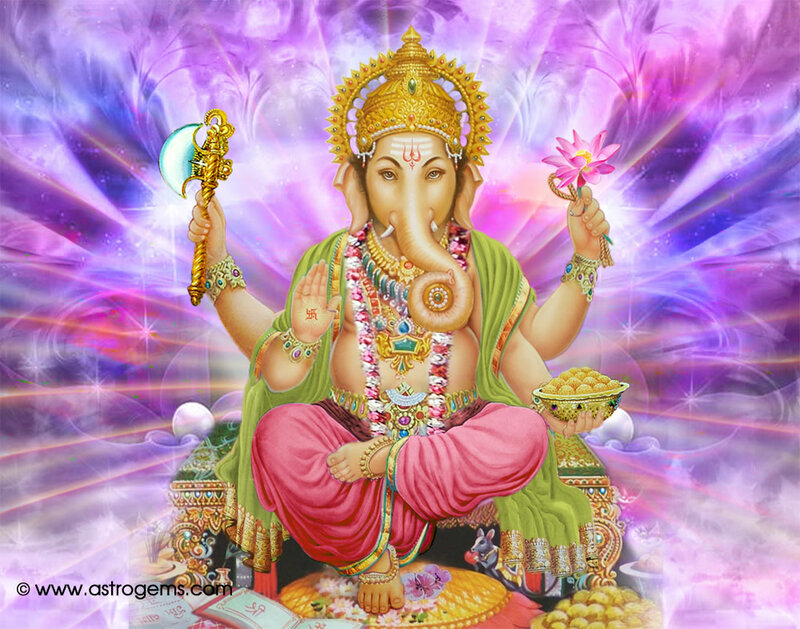 Shiva, in fact, being eternal ,did not feel any need to have children. 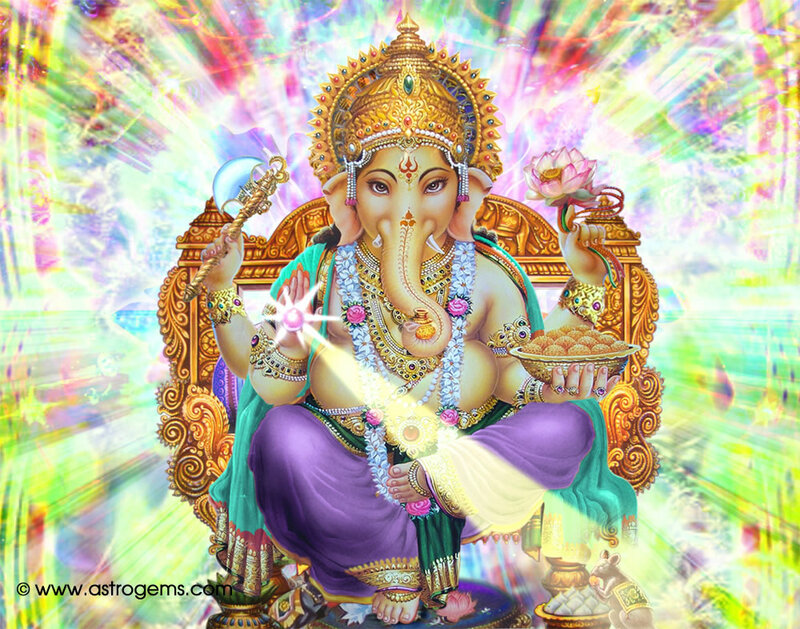 So Ganesha was born exclusively out of the female desire of Parvati to procreate. 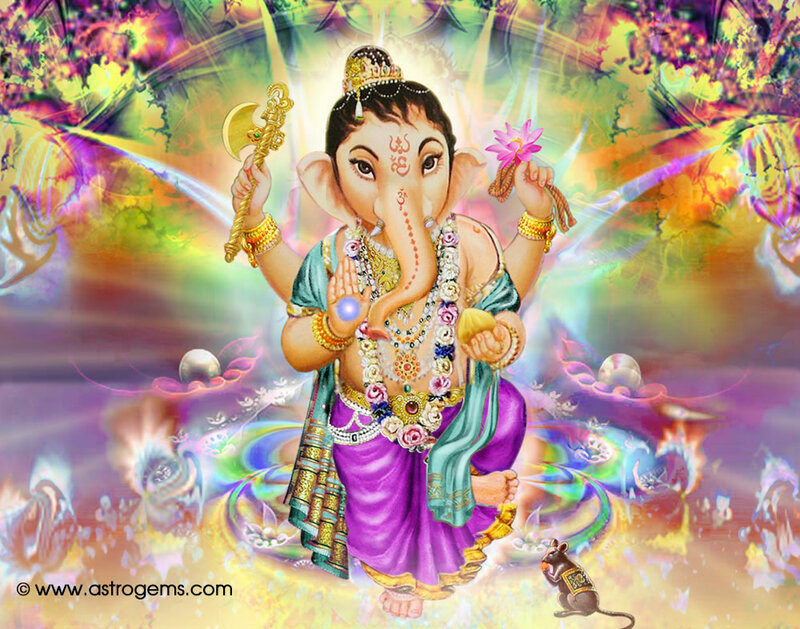 Consequently, the relationship between Ganesha and his mother is unique and special. 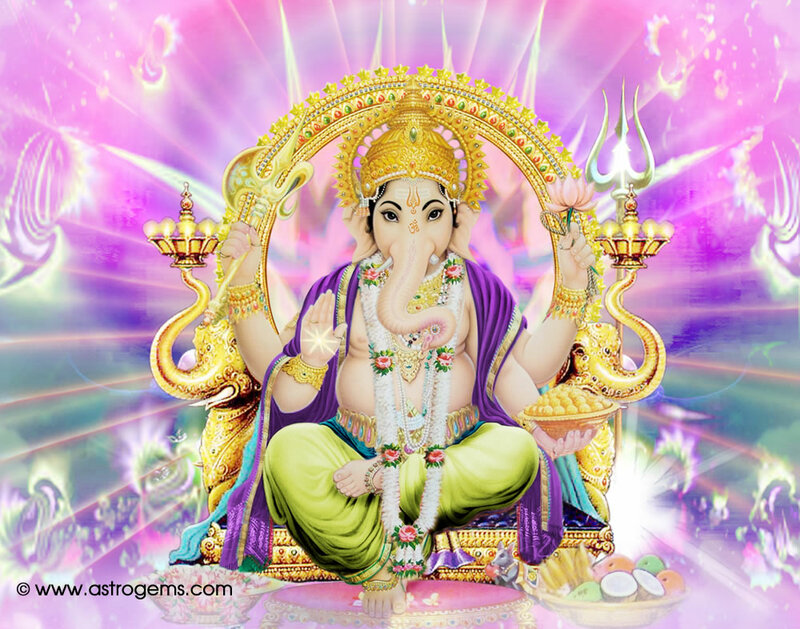 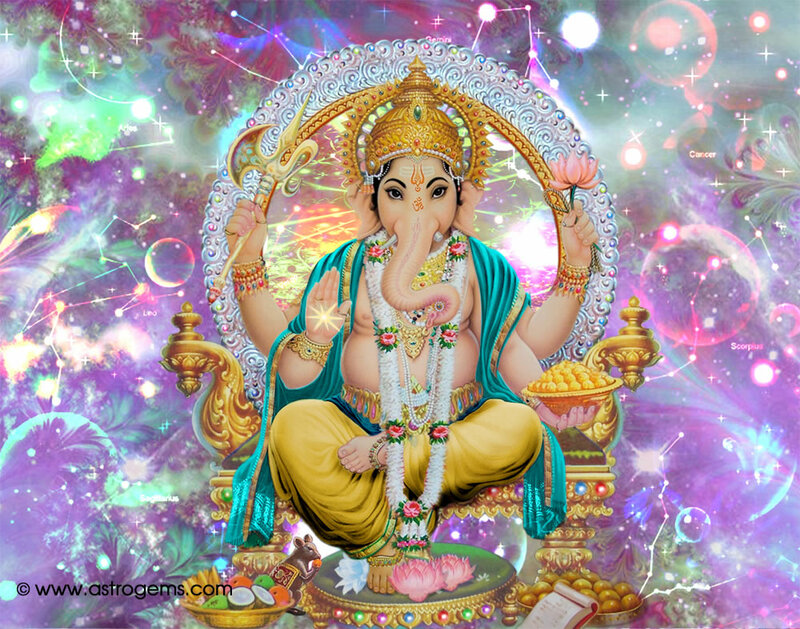 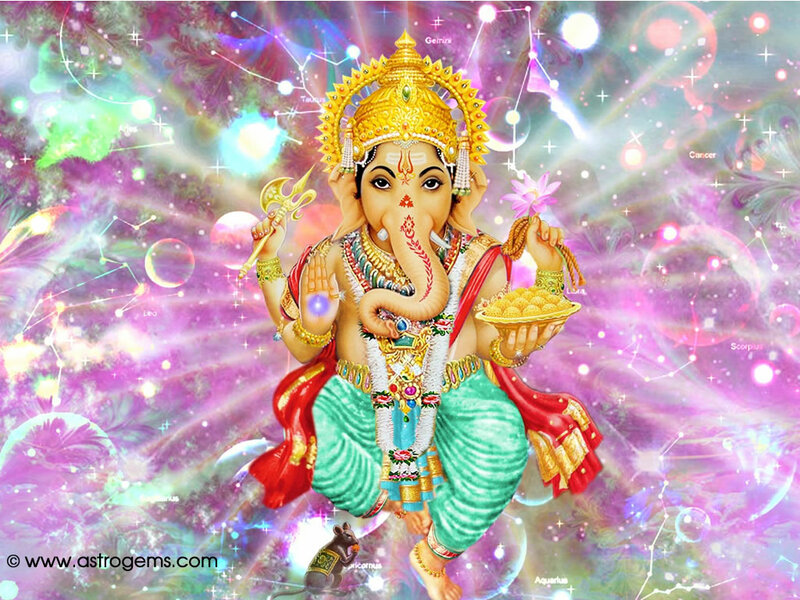 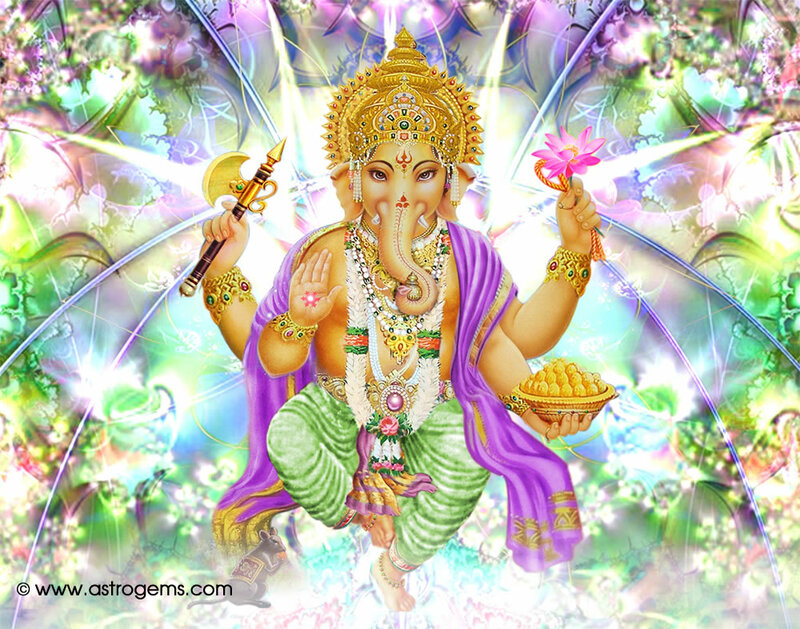 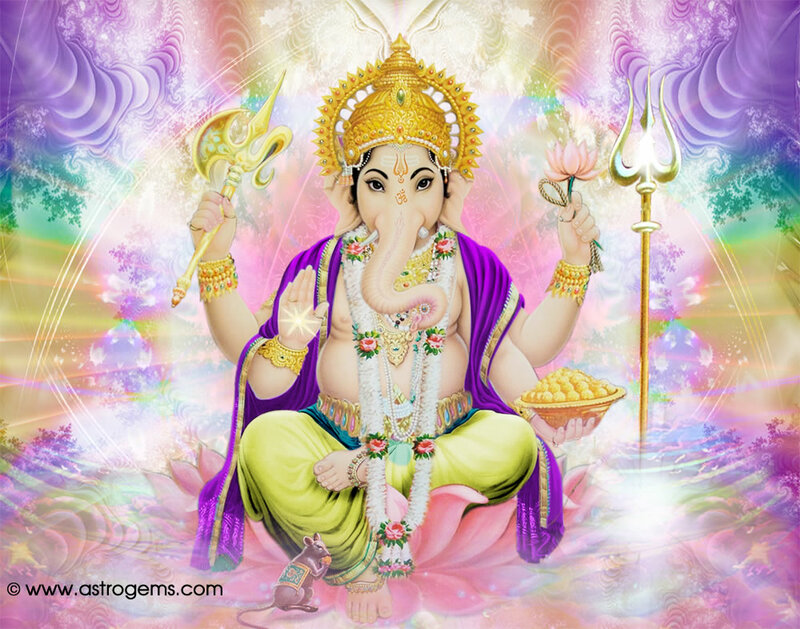 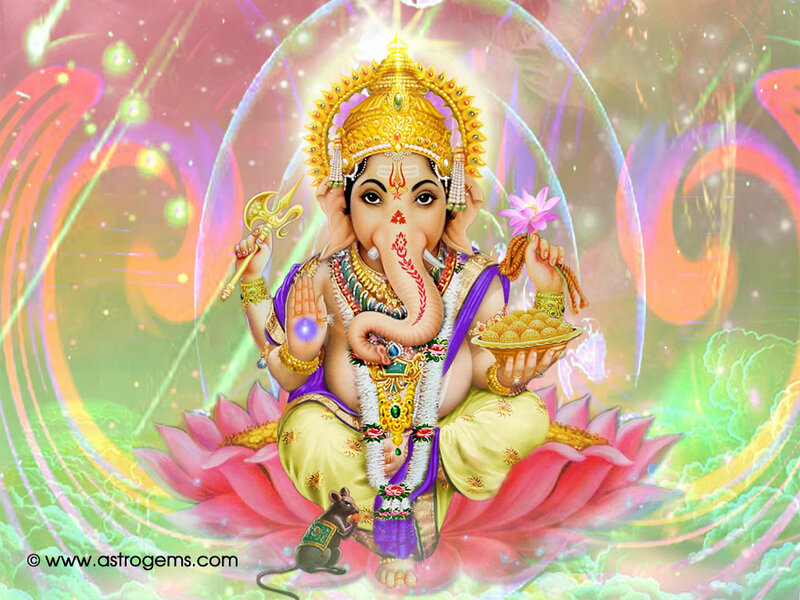 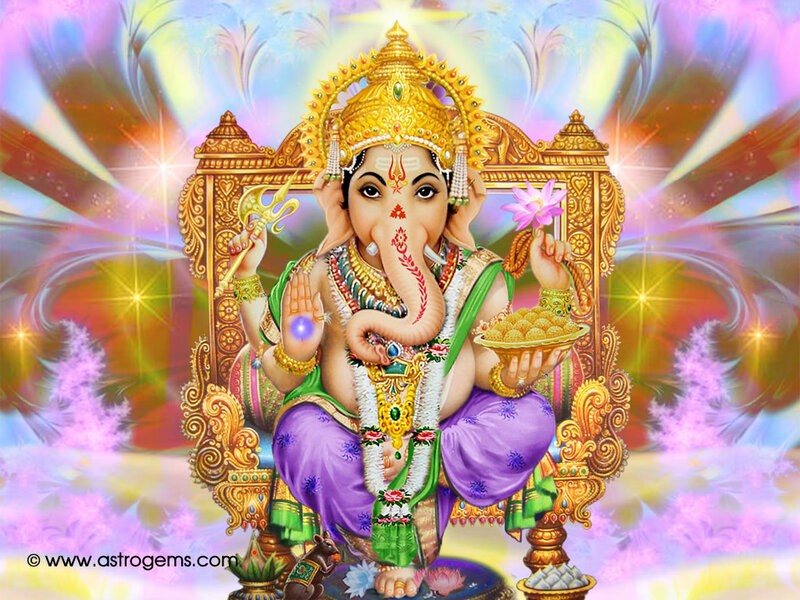 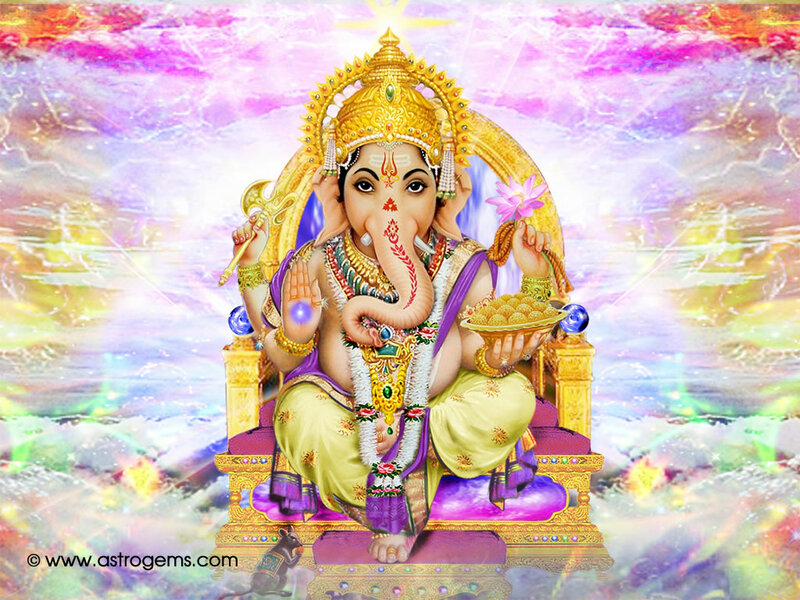 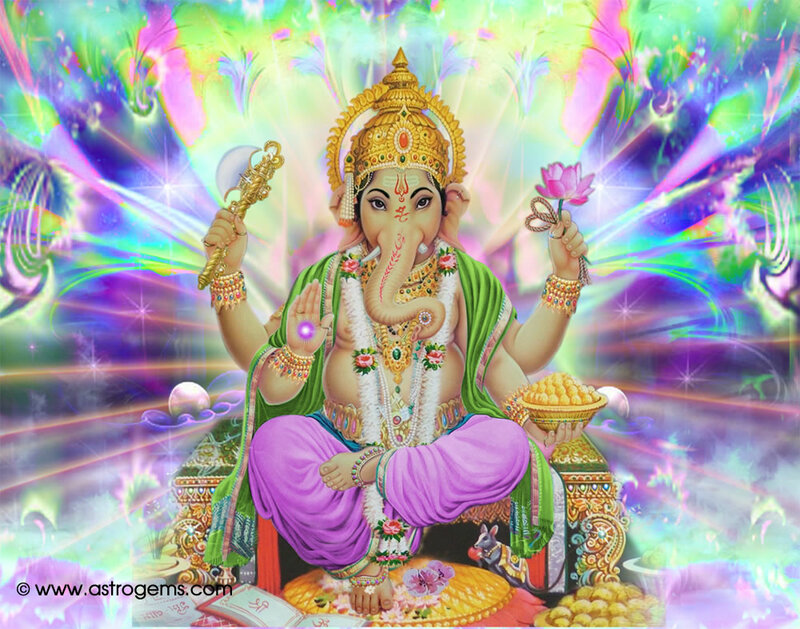 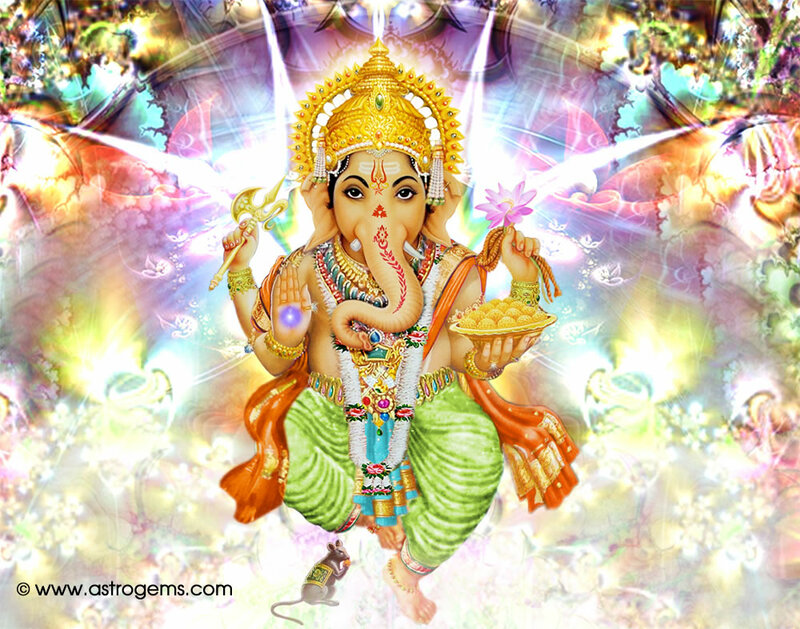 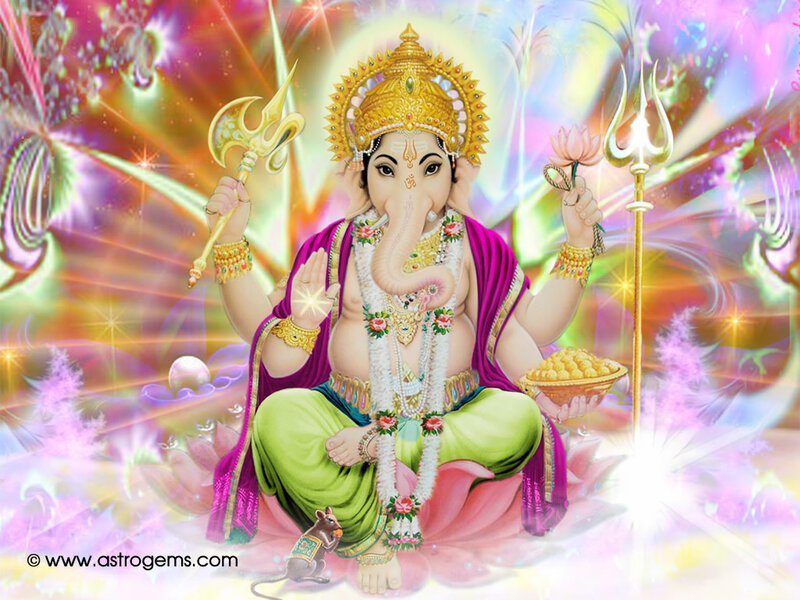 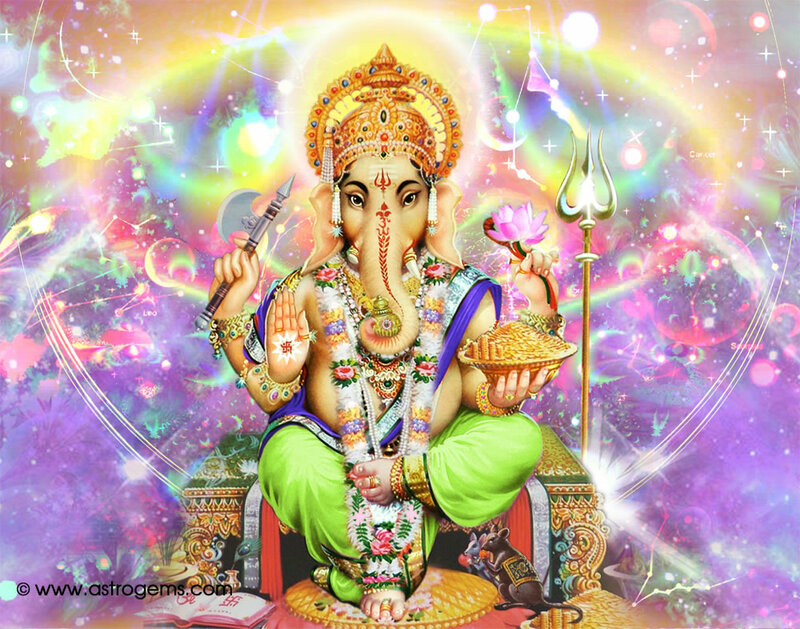 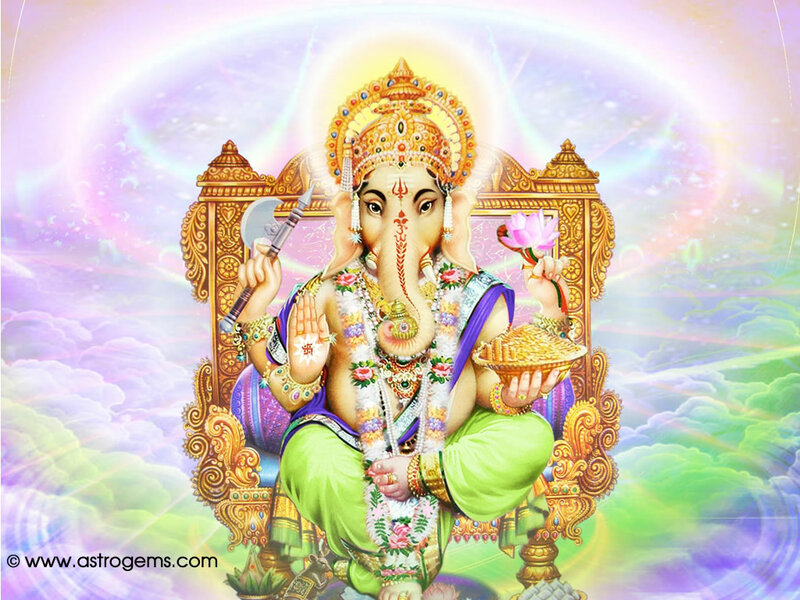 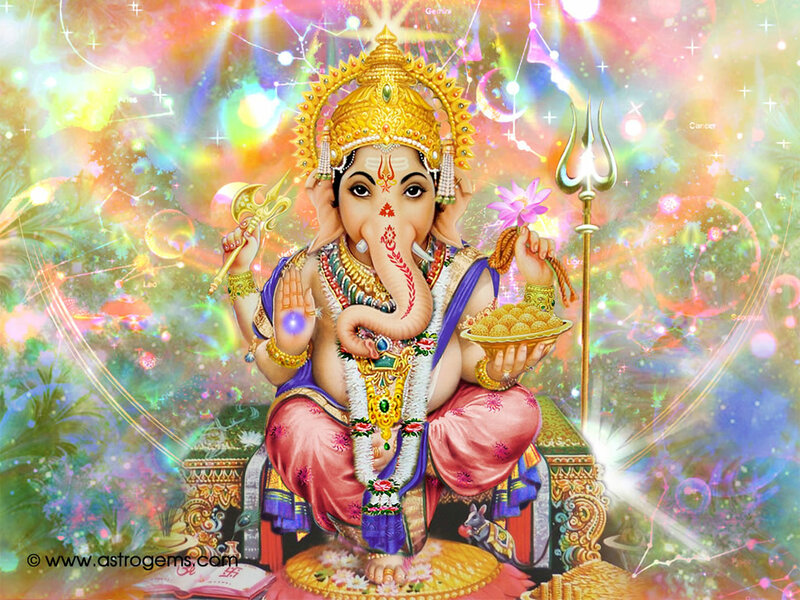 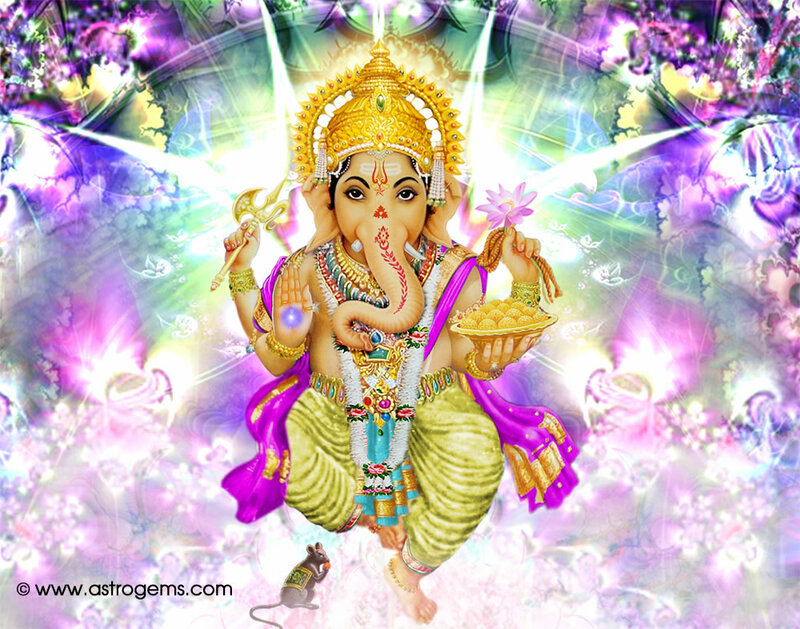 If you enjoyed the quality Lord Ganesh wallpapers. 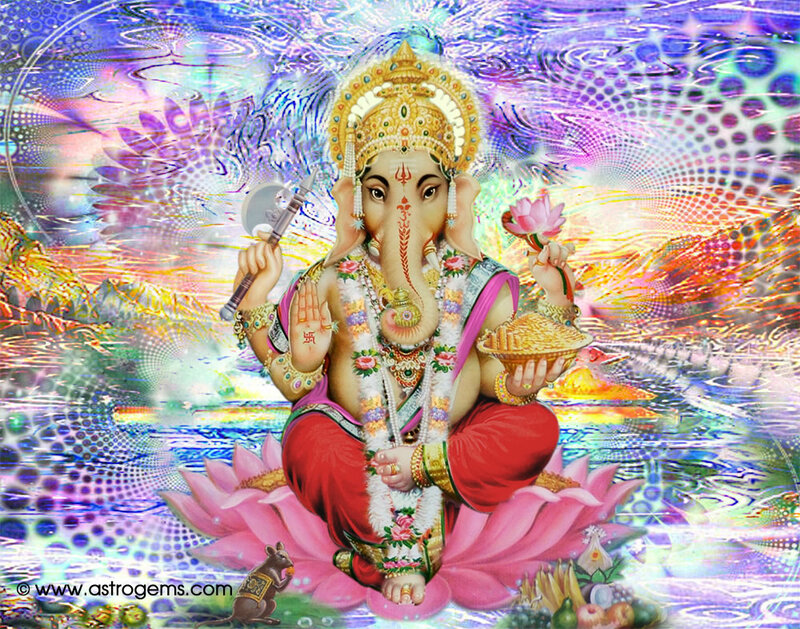 Press here to view miniaturized 10 picture sample of Lord Ganesh moving screensaver that can play on your monitor.